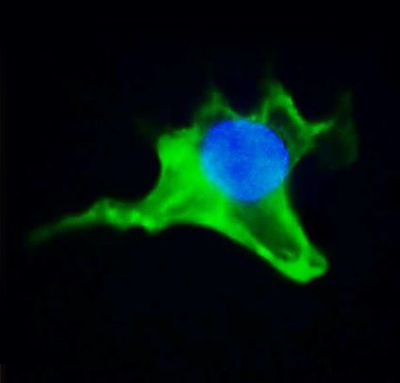 Nanolive develops an high-tech system for the analysis of cells. This enterprise introduces a package consisting of a high-performing microscope and control software, which contribute to life sciences, such as biotechnology, medicine, research and development of raw materials, and industrial quality assurance. Nanolive proposes a tool that offers many key advantages to users. Whether you are a beginner in digital microscopy or an imaging expert, Nanolive will guide you to efficient results with the assistance of its innovative software. To do so, Nanolive introduces its high-performing microscopy software, which allows image analysis. With this software, all of the microscope settings and processing steps are configured easily in a single user interface. Nanolive’s microscopy software offers several functions. Thanks to its flexible concept, this software guarantees many advantages. Indeed, this microscopy imaging system allows to visualize and present images in several dimensions, including in 3D view. This software has a great range of functionality and toolbox, with modules tailored to specific applications concerning microscope activities. With this microscopy software, Nanolive allow you to find the optimal performance for your individual and group tasks. Need help or support ? For a better performance on medical and biological activities, Nanolive introduces STEVE, innovative cell exploring software. STEVE is a microscopy software allowing a broad range of image processing operations. STEVE is created to perform several tasks simultaneously, without harnessing computer’s processor. With the microscopy software STEVE, you can explore the smallest details of living cells, perform necessary analysis and measurements, store data and make printing. STEVE has an intuitive interface which consists of various functionalities, such as microscope control and data managing. To optimize its effectiveness, STEVE is fitted with GPU-accelerated 3D processing and display, as well as a quantitative staining tool based on physical markers. Nanolive engineers have made an improvement to bring other new functionalities, such as an integrated cell cloud access, a versatile statistical analysis tool, and a secure copy of your own cell measurements. This unique microscopy software will be fitted with sharing functionalities to allow files distribution between peers. STEVE will also let the user to access to advanced community-based statistical tools through data sharing. This software allows you to control the 3D Cell Explorer microscope, and to carry out analytical approaches and image processing. 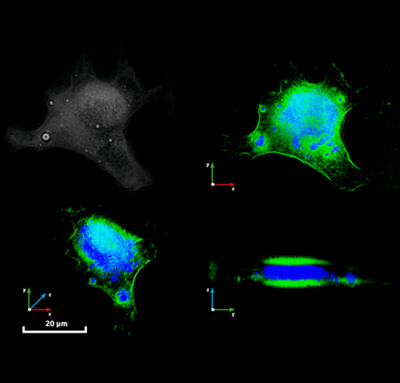 Its functionalities gives the possibility of processing images taken in microscopy to achieve 3D cell reconstruction, and other detailed analysis and measurements. With STEVE, Nanolive introduced an innovative technology helping the user to perform a variety of biological and medical tasks. Indeed, it is possible to store and manage image files in a structured way. All related data records – images, measurement results and reports – can be saved under a single project number. You can also create automated workflows for scheduled laboratory work, and record image history. For an easy access, STEVE takes little time to run its main functionalities on a computer, such as microscope control and image acquisition and exploring. STEVE allows the 3D Cell Explorer microscope to explore cells without having to damage or kill them. To do so, the software uses a tomography application and a harmless laser light for 3D scan. Concerning image quality, this microscopy software is fitted with an image processing tool which helps to correct image errors, and achieve high quality images. Other tools are also available to better deal with image processing. Nanolive also introduces the surface viewer and voxel viewer tools, which let interactive 3D scientific visualization with real time rendering. This microscopy software make easy to see the important features of cells. These viewers are very powerful and easy to use, with a highly-interactive environment, helping the user to perform an accurate cell data analysis.